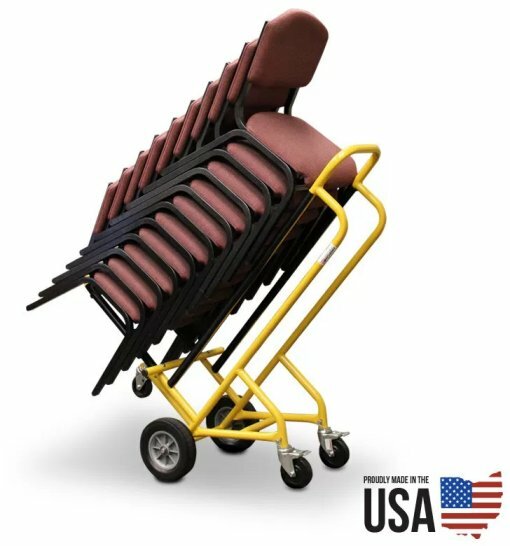 Our Stackable Chair Cart is designed specifically for transporting fixed position chairs. These chairs do not fold down which can make moving and storing them an issue. Easily stack up to 10 chairs, slide the cart under the stack and move them away. The stackable chair cart is manufactured for heavy duty applications. 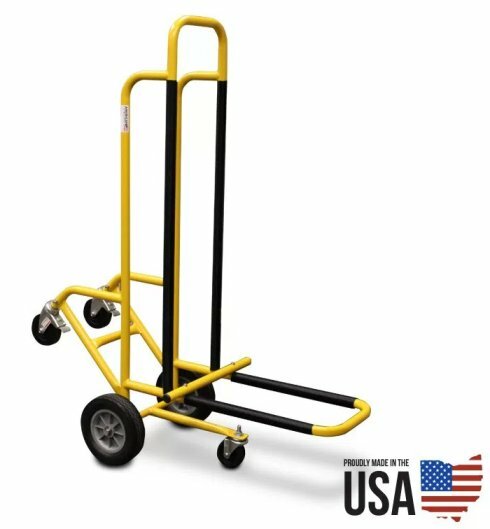 Built from 1-1/4" steel tubing, this cart is ready to be worked hard. The cart is engineered, manufactured and welded at the Ohio Plant by local workers. The cart is finished with a Granite Yellow powder coat. Powder coating provides excellent protection to the steel and a professional look. 5 wheels are used for maximum stability. The two primary wheels are no flats which provide the benefits of an inflatable tire without the loss of pressure. The remaining casters are non-marking rubber. 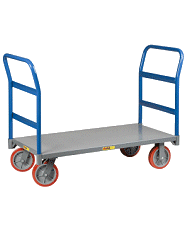 The rear casters have brakes built in for easy loading and unloading on elevated surfaces. 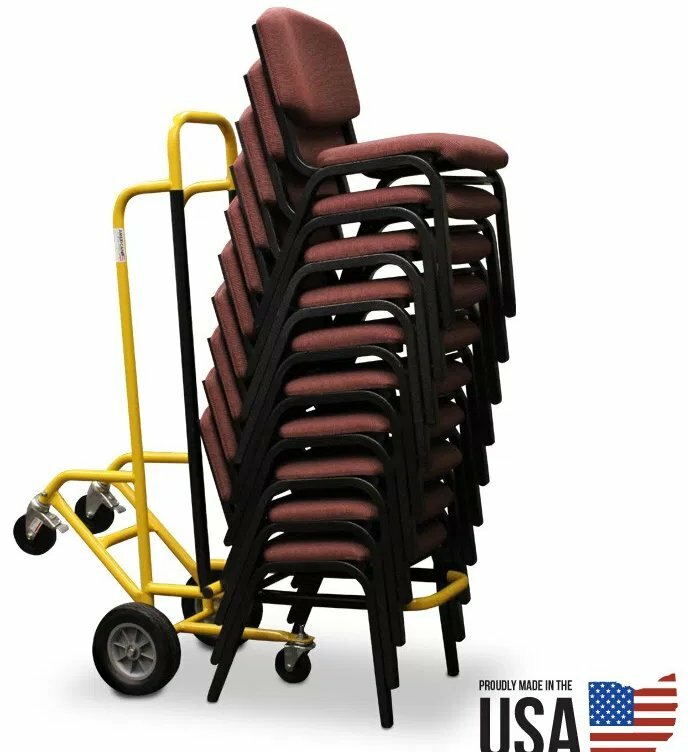 The stackable chair cart is built to haul up to 10 chairs. They can be carried with the chairs pointing either direction. Product testing has showed that picking up the chairs so the backs are opposite the frame is the most effective and safest way to carry the chairs. This cart is perfect for dining halls, churches, schools and anywhere else chairs are found. The design of the cart reduces muscle and back strain making it easy for any adult to handle.